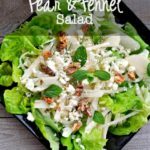 Need a quick weeknight dinner? 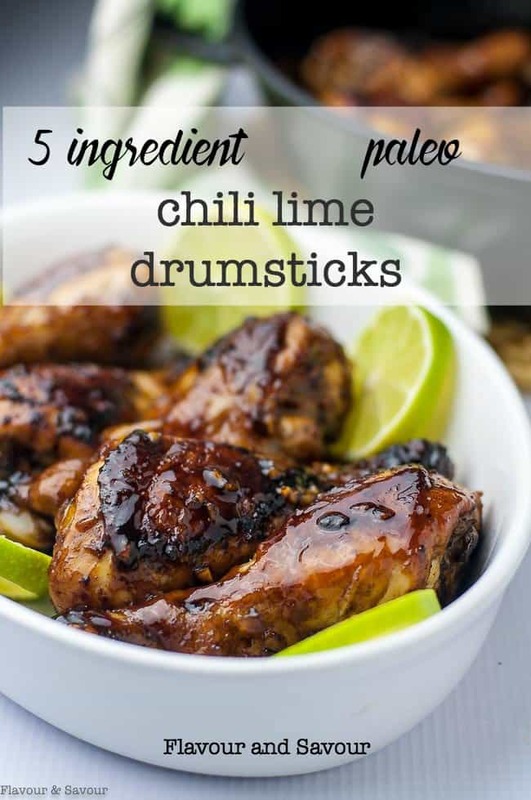 These paleo Easy Thai Chicken Skewers are sweet, spicy and succulent. 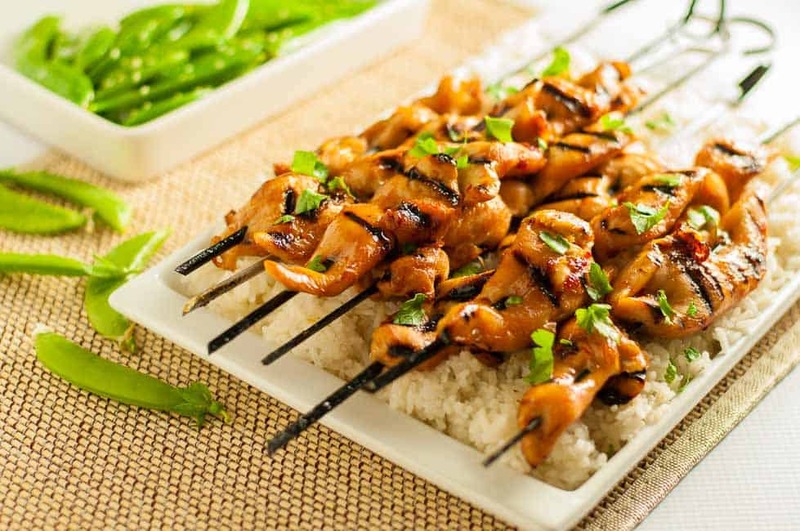 These easy Thai Chicken Skewers are another one of our favourite chicken meals. This recipe is just as easy as our other favourites: Easy Thai Baked Chicken, Asian Glazed Chicken, Baked Lemon Chicken, Honey-Mustard Chicken with Turmeric, Maple Garlic Glazed Chicken and Harissa Chicken, and oh-so-good! 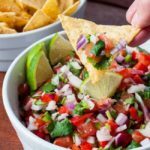 You can use skinless, boneless chicken breasts, chicken tenders, or chicken thighs in this recipe. They all work beautifully, resulting in flavourful kabobs, fresh from the grill. 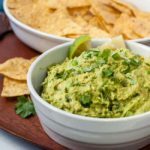 I’ve made these many times, both on my outdoor and indoor grill because they’re just so easy. 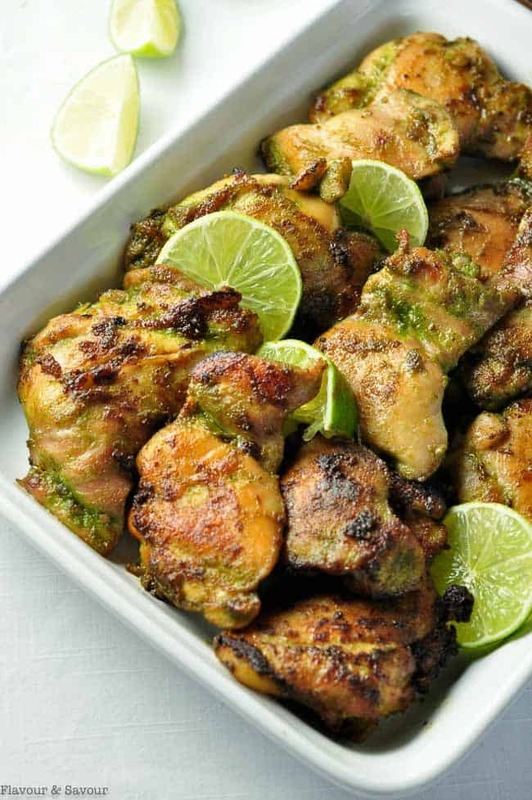 Whisk the marinade ingredients, thread the chicken on to the skewers, let them sit and soak up all that sweet and spicy goodness, then pop them on the grill. 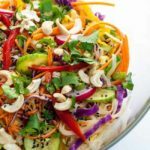 Serve with lots of fresh veggies and Thai Coconut Rice. Get the napkins! This one is full of finger-licking yumminess. It’s Paleo too! 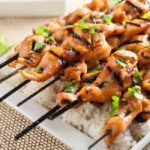 These succulent sweet and spicy chicken skewers are quick and easy to prepare, and they're paleo too! 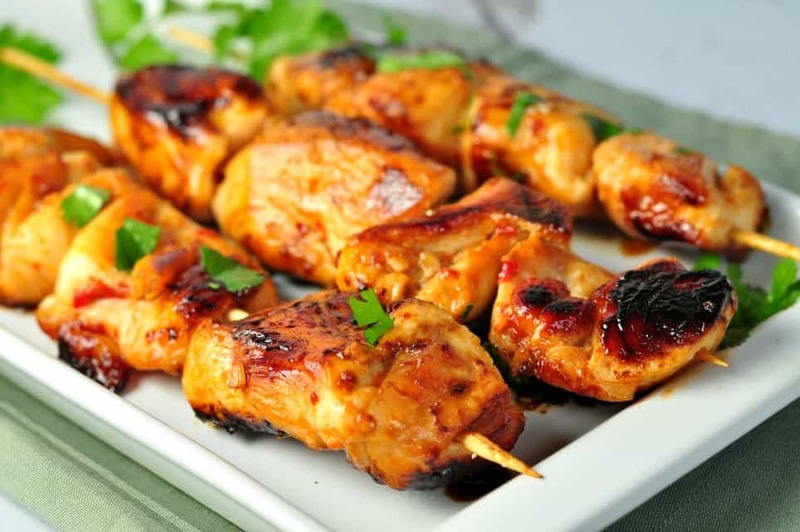 Cut chicken into 1-inch cubes or chunks and thread onto skewers. Put in a shallow dish, pour marinade over top and turn chicken pieces to make sure all are coated or submerged. Let marinate for at least an hour. Grill over medium heat, turning after 7 minutes. Grill on the other side until chicken is no longer pink. Serve with Thai Coconut Rice. 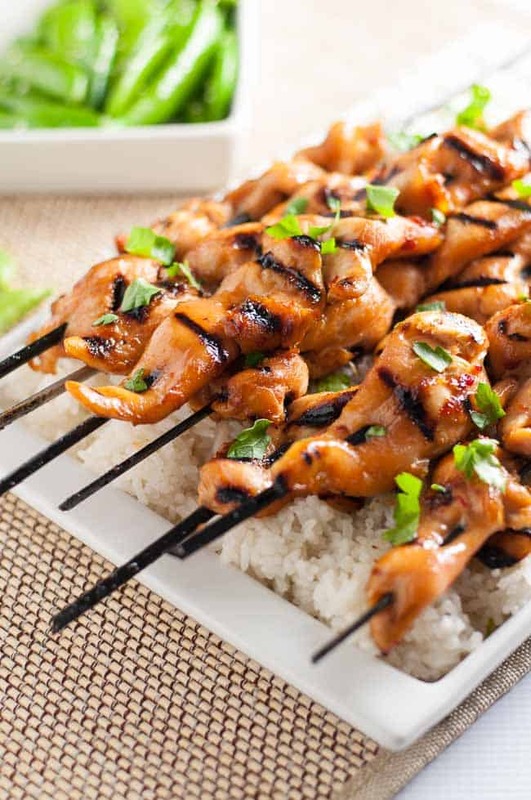 We loved these skewers. I cooked them on the outdoor grill. They were so easy to make and were just spicy enough for my family. Thanks! Tried these for the first time tonight and they turned out amazing! Thanks for the recipe. Thanks for letting me know how much you liked then, Aynsley! They’re a favourite in our home, too. These are great! Didn’t want to grill so I pan seared them and then added the extra marinade after they were turned. Juice boils down to a nice glaze. Great idea, Steven! Thanks so much for commenting!